It is therefore gratifying that the tide seems to be turning: there is a growing international awareness of Stenhammar’s great skills as an orchestrator, and his quite individual approach to the opportunities that offered themselves to composers around the turn of the 20th century. 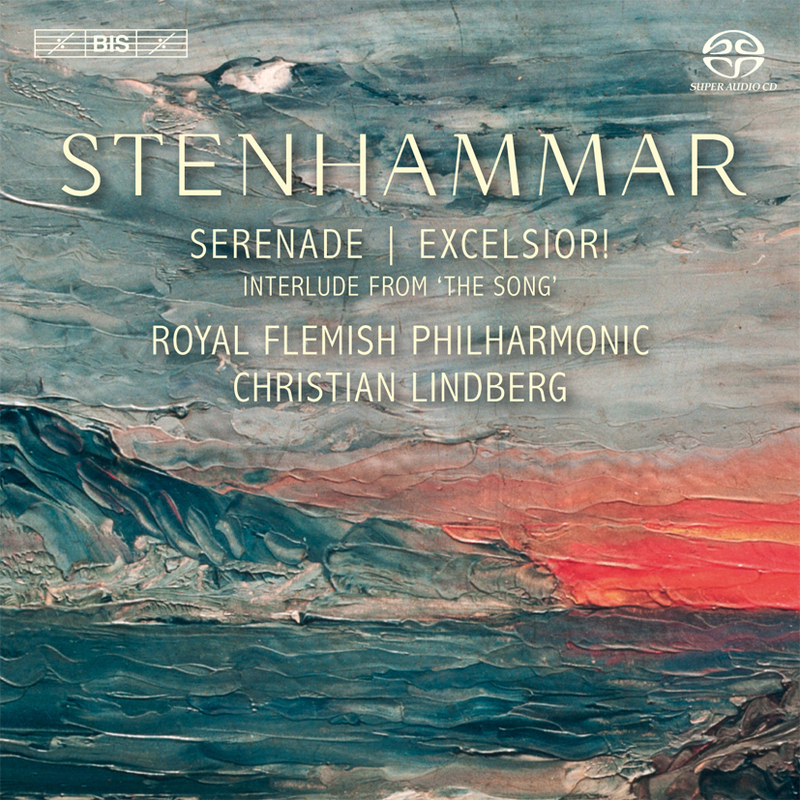 The present recording is an indication of this trend, with a Belgian orchestra – the eminent Royal Flemish Philharmonic – choosing to record three of Stenhammar’s orchestral works for its first disc on BIS. Conducting the music of his fellow-Swede is Christian Lindberg, who has collaborated with the orchestra in his three-fold capacity as trombone soloist, composer and conductor. The team has chosen to open with the symphonic overture Excelsior!, composed for the Berlin Philharmonic Orchestra in 1896. Having made his début as a composer only four years previously, Stenhammar had not yet entirely found his own voice, but the work displays an infectious exuberance and enthusiasm, contrasting with the following, more reflective Interlude from the composer’s final large-scale work, the cantata Sången from 1921. Closing the disc is the Serenade in F major, often regarded as Stenhammar’s finest orchestral score. Beginning it during an extended visit to Florence in 1907, Stenhammar was hoping to create ‘a sort of Florentine dithyramb to spring’, but doubts soon made themselves felt: ‘I wanted to write so beautifully and tenderly about the South, as only a Northerner is able to. But I don’t know if I can.’ Premièred in 1913 (with revisions made in 1919), the work has proved to its many admirers that he could – as well as, if not better than, anyone else.